Sony has just taken the wraps off its latest bridge camera, the HX350 – but you’ll need to pay close attention to the spec sheet to see any noticeable differences compared to the current HX300. There’s the same impressive 50x optical zoom running from 24mm to 1200mm, with Optical SteadyShot anti-shake technology, while the resolution remains the same at 20.4MP. The tilting rear screen, with a decent 3.0-inch display that sports a 921,000-dot resolution, and the small built-in electronic viewfinder are also the same as on the HX300. The body design is pretty much identical too – in fact it’s exactly the same, so as far as we can tell. The only noticeable change is the upgrade to 1080p Full HD video from the HX300’s rather dated 720p HD movie option; 4K would have been nice, but that was perhaps a feature too far for the price point Sony is aiming the HX350 at. 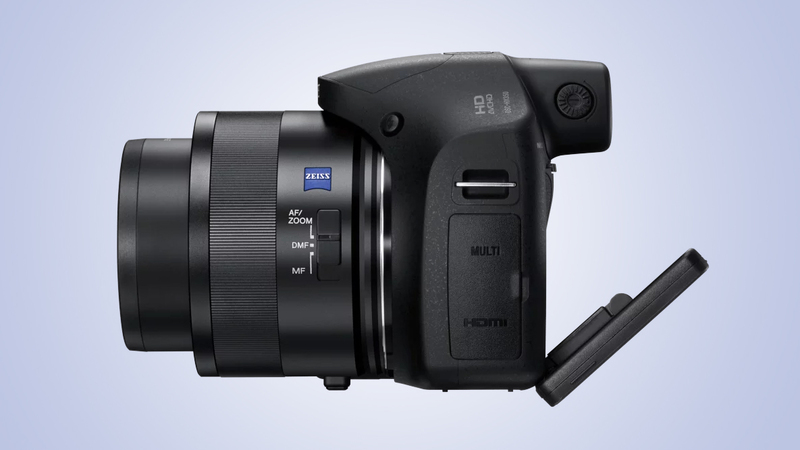 Otherwise, that’s about it – a very minor upgrade to the HX300. In fact, the top-line spec looks identical to the HX400V. Available only in Europe for now, the HX350 will go on sale in January priced at €450 – UK pricing to be confirmed.